Self Defense Dating” is the topic of an event from 5:30 to 7:30 p.m. July 17 at Santa Barbara Women’s Self Defense, 517 De la Vina St., in conjunction with the launch of Santa Barbara Matchmaking’s new Social Club Calendar. Lisa Darsonval-Amador, left, and Tami Finseth. This event is for single men and women to help them protect themselves on a date. “This is something we are doing for the community, not just for ourselves,” said SB Women’s Self Defense owner Teri Coffee-McDuffie, who will also announce the start of a nonprofit group to provide self-defense training for those in the community who need it the most. Last month, SB Matchmaking started offering a free trial of its new online Social Club Calendar listing to help Central Coast adults find the best cultural, dating and social events in the area along with many other benefits. The color-coded Social Club Calendar includes monthly listings available only to SB Matchmaking’s growing number of members. To get the free trial, singles should go to SBMatchmaking.com and use the promo code “TRIAL” to sign up. (Social Club Memberships start at just $9.95 per month!) Members of the new Social Club will have knowledge of the best events to attend and meet other singles, be exposed to some great new and off the radar date spots, get expert answers to their dating questions from the matchmakers, Lisa and Tami, as well as receive great offers from local businesses exclusively for SB Matchmaking members. “You won’t want to miss out!” Three local companies will be featured each month through the Social Club to help singles have a great date experiences. This month, along with SB Women’s Self Defense, Zaca Mesa Wines and Shanna Spencer Style are featured. SB Matchmaking is a discreet, upscale company for successful, commitment-minded singles who want to find their soul mates. 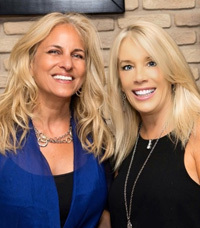 SB Matchmaking has experienced significant growth this year with the addition of local matchmaker, dating coach and image consultant Tami Finseth. Lisa and Tami also have a team of three amazing interns that bring enthusiasm, creativity and new ideas with them! The company offers matchmaking, date coaching, image consulting as well as hosting many events through out the year! Santa Barbara Matchmaking is happy to have created many successful matches including marriages and even a baby. This year Lisa Darsonval-Amador, founder of Santa Barbara Matchmaking, was honored as a finalist in the 2015 Spirit of Entrepreneurship competition, which recognizes top women business owners on the South Coast. Santa Barbara Matchmaking has been featured on KEYT News, TVSB, “The Dr. Laura Ciel Show” and several other media outlets. To learn more about this event or if you’d like to have Matchmakers Lisa and Tami host one of your events, contact Lisa Darsonval-Amador at 805.669.5650 or [email protected] and Tami Finseth at 805.765.1621 or [email protected].